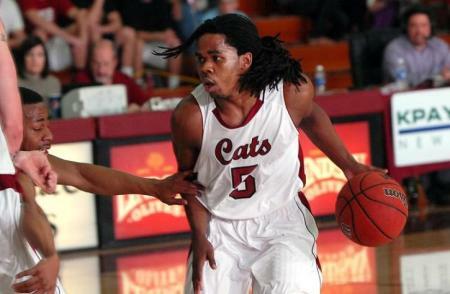 Chico State men's and women's basketball teams play their home CCAA openers against Pomona. The Butte College men play in their third pre-season tourney. The Pleasant Valley girls high school tournament has day two of action as both the PV and Chico High girls teams win. The PV boys pull out a thriller at the Harlan Carter and the Chico High boys roll at the Del Oro Tourney. Alex Smith speaks about his demotion. The Raiders will endure a black-out as apathy grips the Black Hole and the Warriors are in first place in the Pacific Division with a thrilling win over Denver at the Oracle. And, Stanford looks to win to the Pac-12 Championship as they host UCLA in the title game tonight down on the farm. 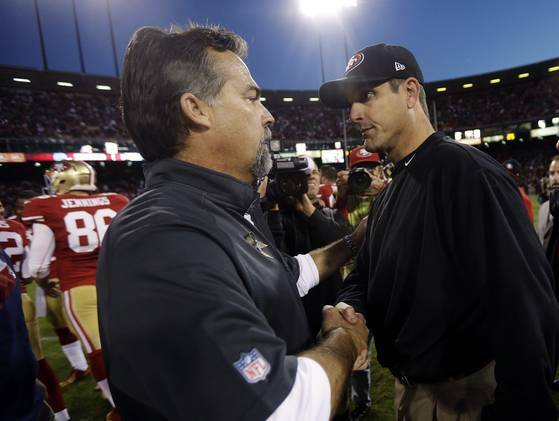 Jim Harbaugh will make a decision tomorrow on his starting quarterback for the San Francisco 49ers. Harbaugh told media members during his weekly presser that he doesn't want the QB situation to distract his team as they prepare for the Rams on Sunday. Alex Smith is 25-1 in his last 26 starts, while Colin Kaepernick is 2-0 as a starter, beating the Bears and Saints in back-to-back weeks. 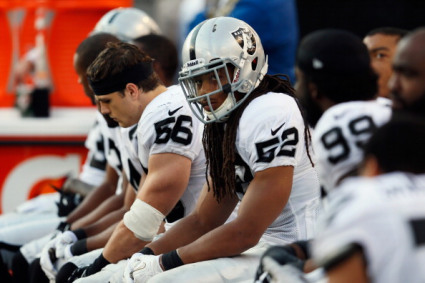 It was a disastrous November for Dennis Allen and his Oakland Raiders. The Raiders lost all four games in November and were beaten by at least 21 points in their final three losses. The Raiders host the Cleveland Browns Sunday in Oakland. Both teams will come in with 3-8 records. The Butte College Roadrunners wrapped up a successful 2012 campaign with a 31-17 win over Fresno City College in the Center Bowl played in Fresno. The Roadrunners wrap up their season with a record of 10-1. For the second straight week the Butte College Men's Basketball team won a consolation title at a pre-season tournament. After dropping a heart-breaker in the Mendocino College Tournament opener, the Roadrunners were able to grab a couple of victories on Friday and Saturday. Butte knocked off Las Positas in the consolation title game, led in scoring by former Pleasant Valley High School product Chase Drews and former Chico High stand-out Kenny McMillan. The Roadrunners are now 4-2 on the season. The Chico State men's and women's basketball teams both won their season openers on Saturday night. The women traveled to Fresno and knocked off Fresno Pacific 66-63. Chico trailed 45-34 with 15 minutes left and was able to rally with late clutch shooting. The Wildcats missed their first 12 three-pointers, only to nail three of their final six from beyond the arc to salvage the victory. Big buckets by Monnie Davidson-Mays and McKenzie Dalthorp down the stretch salvaged the win. Dalthorp, the junior power forward finished with a team-high 16 points and 6 rebounds. Jazmine Miller finished with 10 points, despite being in foul trouble for much of the night. Courtney Hamilton played a game high 36 minutes and finished with 8 points and 8 assists. Chico State opens up CCAA play on Tuesday night when they travel to Turlock to take on Cal State Stanislaus. The men trounced Pacifica 70-35. The game was tight for the first few minutes before the Wildcats depth wore down the under-manned Gladiators. Chico would hold Pacifica without a field goal for a 17 minute stretch as the Cats cruised to the easy win. Chico was led by Jordan Semple with 16 points and 6 boards, Sean Park added 12. Chico State will host the Mac Martin Invitational on Friday night as they take on Colorado-Springs as part of the Mac Martin Tourney double-headers on both Friday and Saturday nights. The Division I North Section High School Football Championship is set and what a game it figures to be. The Paradise Bobcats and Enterprise Hornets will battle for the section title for the second time in four years. In 2009, Paradise and Enterprise locked horns in one of the classic and more controversial games in section history. With Paradise clinging to a late lead they had seemingly won the game after blocking a field goal try. But, a penalty with ensuing celebration allowed Enterprise one final try at tying or winning the game. The penalty, and its aftermath is what still is controversial to this day. What is not controversial is the amazing 4th and 28 conversion by Enterprise to set up a first and goal in the waning seconds. Two plays later the Hornets would punch it in and win an improbable 27-23 victory to win the section championship. The North Section High School Football Playoffs continue tonight in what should be a soggy night in the North State. The 4th-seeded Chico High Panthers travel to Redding to take on top-seeded Enterprise in one of the semi-final match-ups. The other will be on the ridge in Paradise where the Bobcats take on possibly the hottest team in the section, Foothill. In other match-ups, Orland tries to knock off undefeated Sutter while Hamilton takes on Modoc. The Butte College Men's Basketball team suffered a heart-breaking loss last night in Ukiah at the Mendocino College Tournament. Leading by one with under a second to go, Consumnes River scored on a put-back after a long offensive rebound. Butte falls by a score of 69-68. Kenny McMillan led Butte with 18 points. The Roadrunners take on College of the Redwoods today at 3pm. After two exhibition games against Division I opponents, the Wildcat men take on NAIA opponent Pacifica. The Wildcats have been picked by CCAA coaches to win the conference and that journey begins on Saturday night. 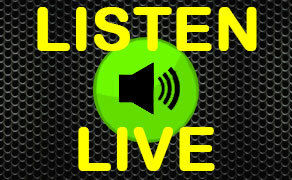 You can hear the game on Newstalk 1290 KPAY at 7pm. 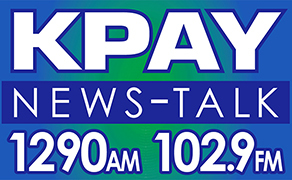 Also on KPAY.COM. Don't forget to "LIKE" our KpaySports Facebook page. We will have all of the local high school football scores and update the scores throughout the night. You can also follow us on Twitter at "KpayBacaSports." (AP) — The St. Louis Rams and San Francisco 49ers played the NFL's first tie game in four years as both team's kickers missed overtime field goals in a 24-24 final on Sunday. Greg Zuerlein kicked a 53-yarder, but the Rams were penalized 5 yards for delay of game. He tried again from 58 as coach Jeff Fisher played for the win, and missed wide right with 2:42 left in OT. San Francisco's David Akers missed wide left on a 41-yard attempt that could have sealed it for the NFC West-leading 49ers (6-2-1), who lost quarterback Alex Smith to a first-half concussion. On the first play of OT, Sam Bradford completed an 80-yard pass to Danny Amendola that took St. Louis (3-5-1) to the 2, but the play was called back for an illegal formation penalty. Some 49ers fans got up to leave, then returned to their seats. 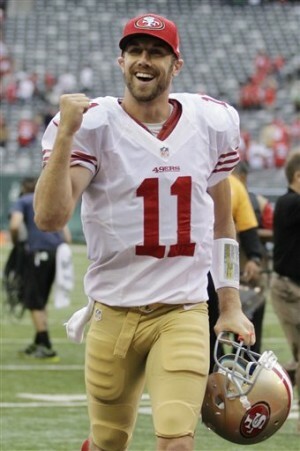 (AP) — Alex Smith was knocked out of the San Francisco 49ers' game against the St. Louis Rams with a concussion. Smith scrambled and started to slide before turning his back late, and linebacker Jo-Lonn Dunbar barreled into his neck area with 1:10 left in the first quarter Sunday. Smith briefly grabbed his facemask and grimaced but stayed in the game, throwing a 14-yard touchdown pass to Michael Crabtree in the second quarter. Colin Kaepernick replaced Smith on San Francisco's next possession. Smith sat on the bench next to 49ers athletic trainer Jeff Ferguson and other trainers before walking to the locker room just before halftime. Smith was 7 for 8 for 72 yards and the touchdown. The 2005 No. 1 overall draft pick started every game for the 49ers last season. (AP) — Joe Flacco threw for 341 yards and three touchdowns, and the Baltimore Ravens set a club record for points in a 55-20 rout of the Oakland Raiders on Sunday. The Ravens (7-2) scored on six of their first seven possessions against the struggling Raiders (3-6), who have yielded at least 40 points in two straight games for the first time since 1962. The 55 points tied an Oakland record for points allowed, a mark set in 1961 and matched in 1981. Baltimore led 27-10 at halftime. In the third quarter, Flacco threw touchdown passes of 47 and 20 yards to Torrey Smith, and holder Sam Koch scored on a fake field goal in the third quarter to make it 48-17. In the fourth quarter, Jacoby Jones took a kickoff 105 yards for 55-20 lead. Baltimore's previous record for points in a game was 48, against Detroit in December 2009. (AP) — The Los Angeles Lakers have hired Mike D'Antoni, signing the former coach of the Suns and Knicks to replace Mike Brown. D'Antoni got the high-profile job running the 16-time NBA champions only after the club's top brass extensively discussed the job with former Lakers coach Phil Jackson. The 11-time NBA champion coach met with Lakers owners Jerry and Jim Buss and general manager Mitch Kupchak on Saturday to weigh a return for a third stint on Los Angeles' bench. The Lakers instead went with D'Antoni, a respected offensive strategist who coached Lakers point guard Steve Nash in Phoenix during the best years of their respective careers. D'Antoni was less successful during four seasons in New York, but at least restored the once-moribund Knicks to competence before resigning last March. D'Antoni agreed to a three-year deal worth $12 million, with a team option for a fourth season. His hiring comes two days after the Lakers fired Mike Brown just five games into the season. The Butte College Roadrunners pulled off an upset on Saturday knocking off San Francisco City College 31-21. The win was the first for the Runners' against the perennial power since 2008. Butte had three running backs each go for more than 100 yards on the ground. The semi-finals of the Division I North Section playoffs are set for Friday. The Chico HIgh Pantthers knocked off Shasta 57-42 on Friday, they will take on top-seeded Enterprise. Foothill blasted Red Bluff 48-13. They will head to the ridge to take on Paradise at 7:00pm Friday night. Both the Golden State Warriors and Sacramento Kings will play perennial Western Conference powers tonight without two of their best post presences. The Kings will be missing their first-round pick Thomas Robinson against the San Antonio Spurs tonight because he has been suspended two games for throwing an elbow in the Kings win over Detroit on Wednesday night. The Warriors loss could be more significant. Golden State Head Coach Mark Jackson says center Andrew Bogut will miss 7-to-10 days because his surgically repaired ankle is not responding well to game action. 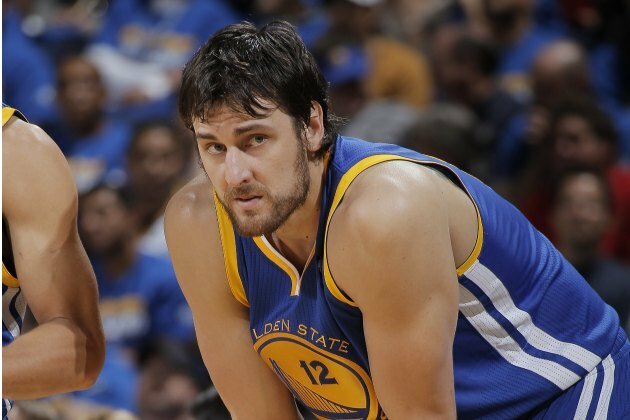 They will rest Bogut tonight against the Lakers and possibly through Thanksgiving. The Kings come into their game with a 2-3 record, while the Warriors are 3-2 on the season. The Chico State Volleyball team plays at home tonight against Cal State East Bay. For the Wildcats to possibly punch their ticket into the Division II NCAA Championships they might need to run the table, winning their final four matches. The Cats' sit at 16-9 in conference play. Tomorrow night is senior night as they will take on Cal State Monterey Bay. The matches both begin at 7pm. The Butte College Men's Basketball team falls in their season opener last night against Columbia 76-68. Kenny Bell and Josh Tyson led the Runners' with 11 points apiece. This Sunday we will carry two NFL games on 101.7 FM and AM 1340. At 10am we will have the NY Giants taking on the Cincinnati Bengals. At 5pm we have the Houston Texans taking on the Chicago Bears. Phoenix Suns 87-85 in the teams' season opener Wednesday. after the buzzer, and misfired anyway. restricted free agent next summer. Andrew Bogut for years to come. 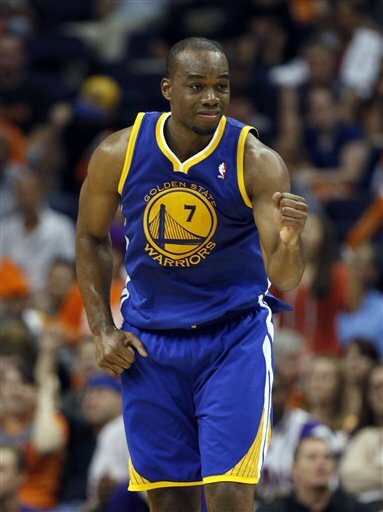 with 18 points and eight rebounds. and this was promising even if it was a struggle. on in the fourth after the Kings closed within three several times. the team's come-from-behind, post-season dominance. the Detroit Tigers along with the customary key. the crowds generally were cooperative.